Heaven’s Basement. They are electric. Date: Tuesday 25th March 2014. Place: The Fleece, Bristol. Time: 19:30. Band: Heaven’s Basement. Mood: ROCK. Let me take you back almost an entire year to Download Festival 2013. In the build up to the drunken, moshing chaos that would ensue at my first Download festival, I ensured I would make the most of its platter of rocking delights and so set about researching the various bands that I had never heard of. I listened to tracks on YouTube, as you do, and discovered a number of bands that spoke to my musical soul. 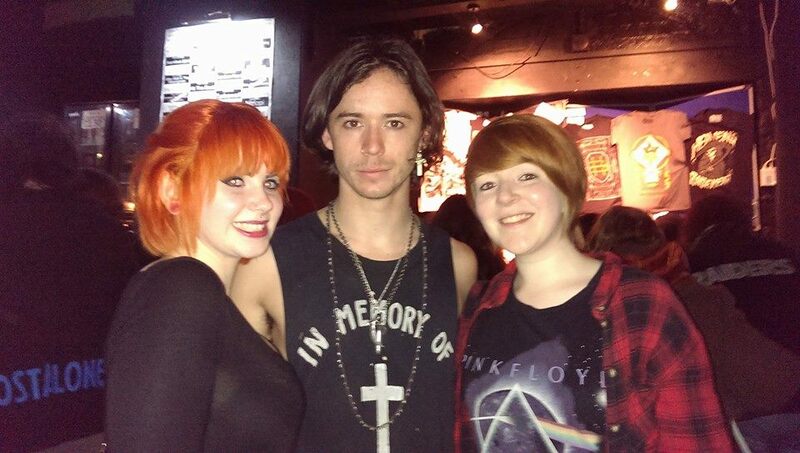 On that list was a band called Heaven’s Basement. After sampling the sounds of their album Filthy Empire, I decided that yes, I was indeed a fan. Almost instantaneously in fact. It’s pretty hard to hear the punk-ish ‘I Am Electric‘ (now the title of this blog entry makes sense doesn’t it?!) and the pulsating rhythms of ‘Jump Back‘ and not want to leap about your livingroom, with hair flailing all over the place, in a head-banging fit of joy. So when I went to Download I made sure that I would see them. In the end they were so good, we saw them twice. Taking my dubious friends along to see a band they had never heard of, if it wasn’t for my girlish gushing comments on their brilliance, was a risky move. But we stood in a large crowd, waiting to be blown away. And we were not disappointed. 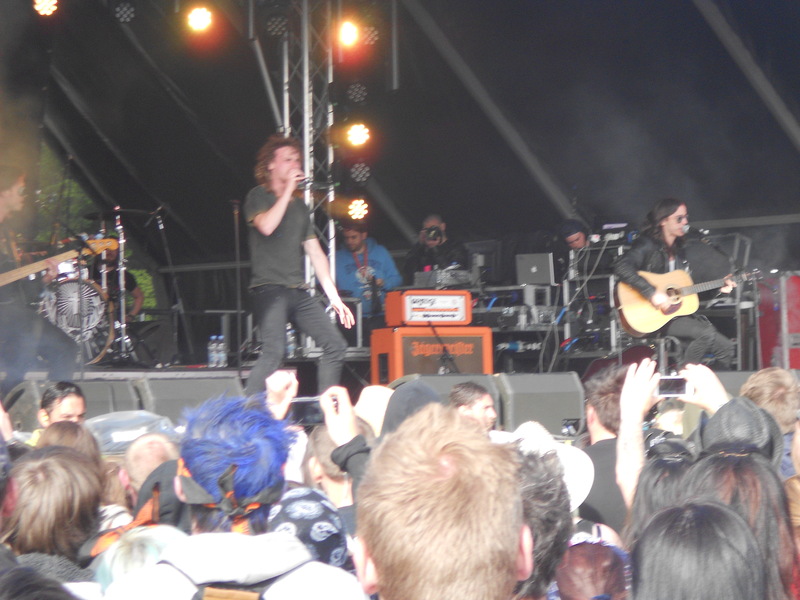 Heaven’s Basement rocked. Drumsticks were thrown in the air, guitars were wailing and frontman Aaron Buchanan gave meaning to the words ‘vocal range’. The crowd took to them like a duck to water and people’s lists of ‘favourite live bands’ just got larger. 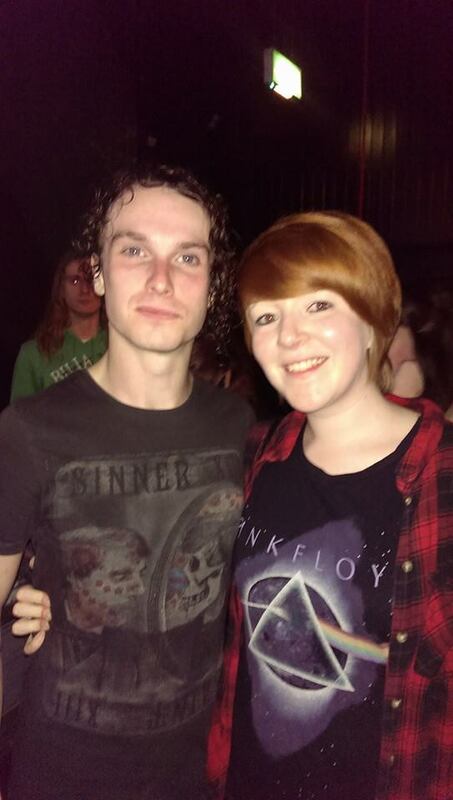 Bring you back to Tuesday 25th March 2014 and there I was standing at the Fleece with my friend, who had accompanied me almost a year ago to that same Download, buzzing with excitement. The support bands, especially GOTK (Glamour of the Kill), fired up the crowd, and the beer flowed as The Fleece got busier and busier. And then, it began. Framing the evenings music with the first and last tracks on the Filthy Empire album, the show was utter brilliance. For a band who I am fairly new to, it was astounding to see such a loyal following, one who knew the lyrics to every song and who enjoyed being in the presence of such an energetic band. For me, rock music needs to be accompanied by showmanship, for the band or artist to appreciate and perform, for its audience, to its audience. Heaven’s Basement are artists at it. 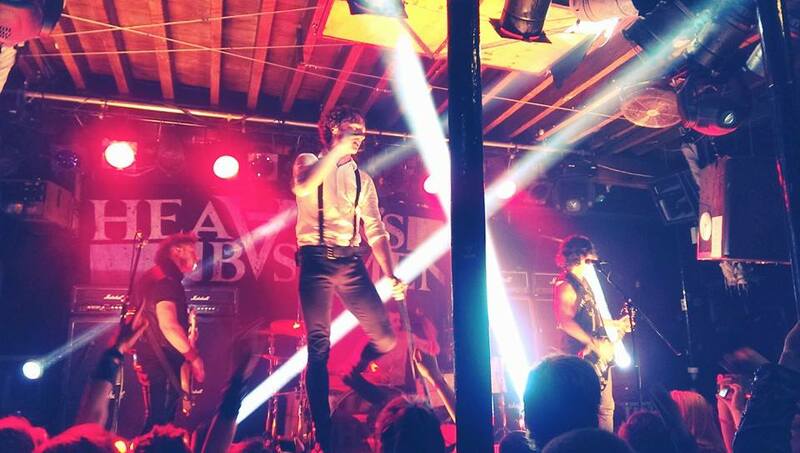 Frontman Aaron and lead guitarist/vocalist Sid Glover projected themselves into the crowd by standing on raised platforms for much of the show, whilst drummer Chris Rivers and bassist Rob Ellershaw slapped the audience in the face with beats and funk. 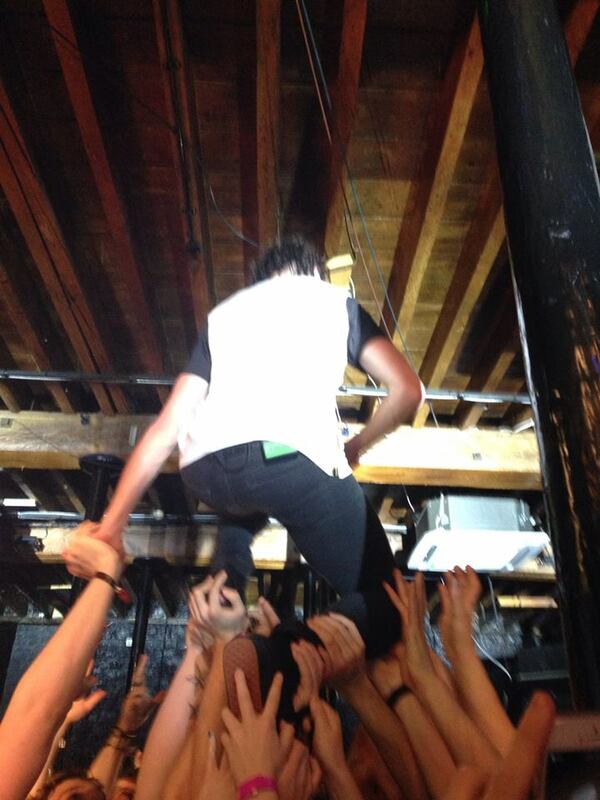 No stone was left unturned; from encouraging mosh pits, to ensuring one guy made it around the room and to the bar without ever touching the floor, to lead singer Aaron’s unfamiliar crowd surfing techniques (as shown below). 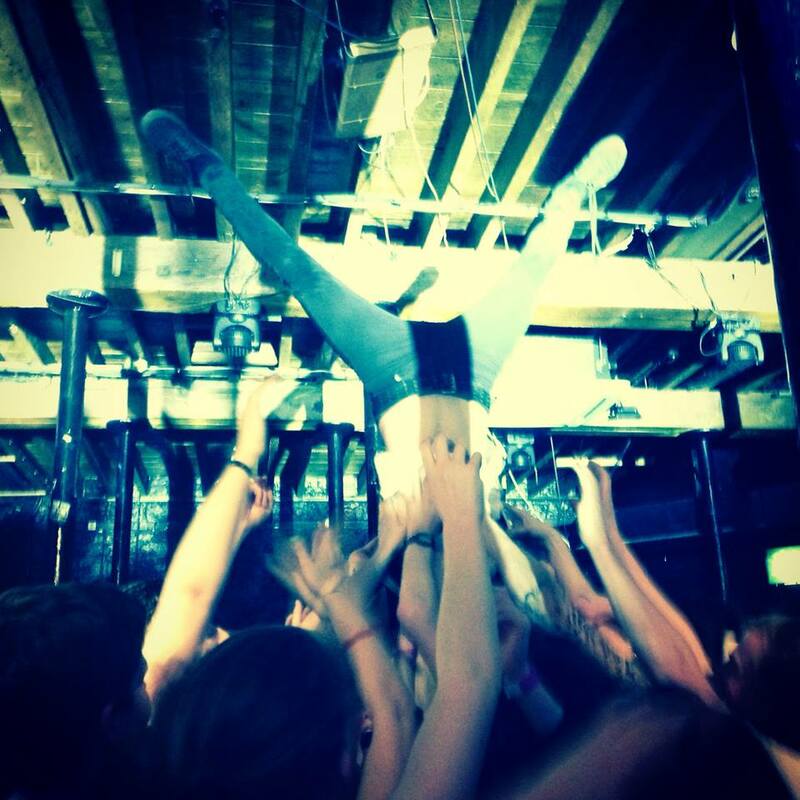 What I have experienced of Heaven’s Basement so far has been quite unique. For the most part, the rock and heavy metal bands I like have been around for a long time. Bands such as Metallica, Rammstein, Thunder, Whitesnake and Iron Maiden are still touring and performing to sellout audiences, but I missed their initial hiatus due to me either not being born or too young to rock out with my nappy out, and so I watch them now, knowing the hits, respecting their presence and expecting excellence. Somehow, Heaven’s Basement are already making audiences feel this way. People want to see them, to hear anthems like ‘Nothing Left to Lose’ and ballads like ‘The Price We Pay‘, and to watch them perform like they have been doing this for 50 years. Whether its their music, their showmanship, their passion, their talent, or all of the above, there is something special about this band and to be in the middle of it all, watching it build, is a great feeling. One might say its electric.